We care about your body. We care about your soul. The Wellspring was founded in 2017 to fill a void in the Orthodox Jewish community. As the only health magazine that is sensitive to the cultural and hashkafic preferences of the frum reader, it provides an unparalleled fusion of compelling, well-researched, reputable health and medical information from a perspective that is focused first and foremost on Torah values. In addition to our talented editorial and design teams, our staff consists of some of the community’s most trusted health and wellness experts. Together, we invest ourselves in providing an impeccable final product that is a both enlightening and a pleasure to read. The Wellspring has become the trusted resource in health and wellness for thousands of discerning readers throughout the U.S. and Canada, generating a greater awareness toward this important endeavor while encouraging a healthy balance of mindfulness and moderation. 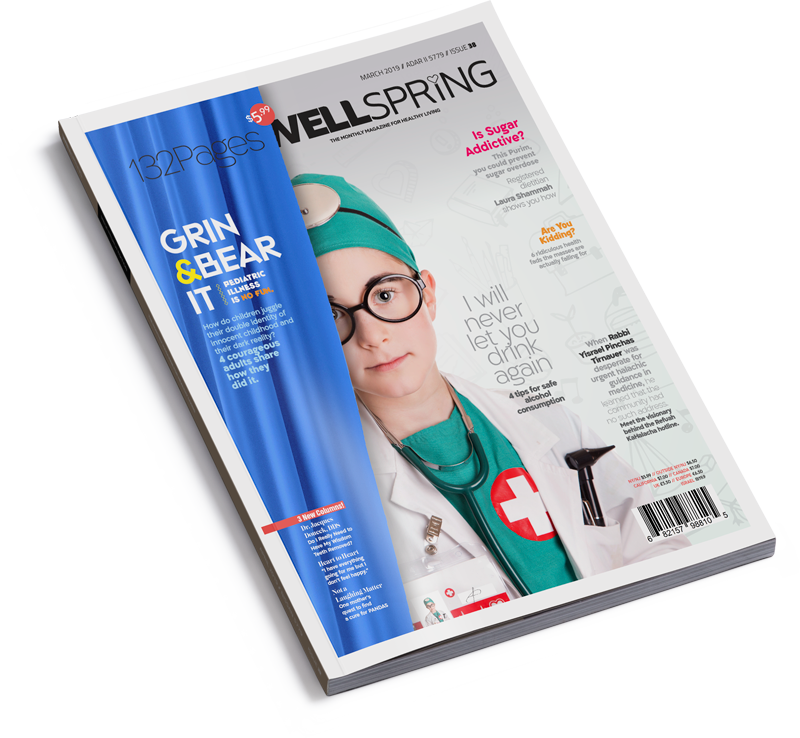 The first section of The Wellspring delivers current health-related information from some of the community’s most popular health and wellness experts on topics such as nutrition, dental health, fitness, spiritual health, and general health. Living Well is packed with compelling features highlighting both advances in conventional medicine as well as alternative healing approaches, interviews with expert medical and health personalities, personal stories, and in-depth analyses of various lifestyle choices that pertain to readers of all stages. Wellbeing provides valuable insight on emotional health, including relationships, self-growth, child development, and parenting, from a wholesome Torah perspective. As The Wellspring’s food section, Seasoned’s recipes and food prep ideas are all in line with our vision of healthy balance: not only nutritionally dense, but also visually appealing and packed with flavor. They’re the pages you’ll want to clip and save for years to come.